The past couple of years in Kashmir gave reason for hope. Violence was down on both sides, securitymen as well as militants. Tourism was picking up, and there were comforting stories of youth from the state striving to make it in the national mainstream, including the civil services and sports. The mood has changed this year, however. The death figures are up after a long time. The communal clashes this side of Banihal were no help. The most disturbing news, however, is local youth beginning to join militant ranks once again. 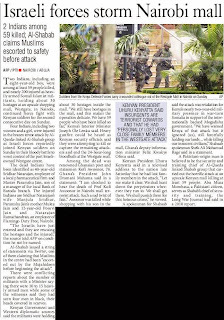 Disturbing not just because of the violence they may cause, but because it is also an indicator of a revival of local support to militancy. To fight a man with a gun is far easier than countering poison in the heart. The security agencies on the spot in Kashmir have the responsibility of winning both these battles. That brings on them the onus of extreme caution and self-restraint. At the state level there are the total figures of violence, and a small percentage change may not matter as much, and neither would the circumstances of a death. 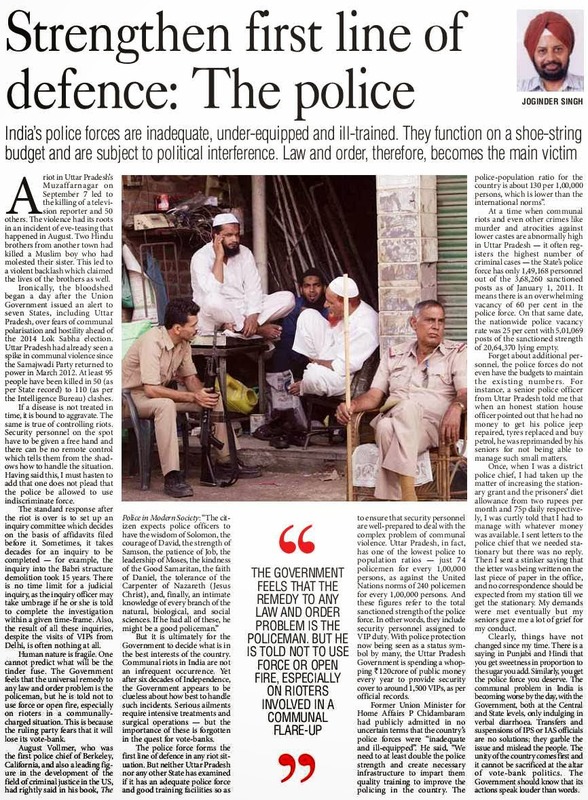 But on ground — amidst people and their homes — each death of a local, and how the cause of the death is perceived, decides the view the community is going to have of militancy and politics. And there is a whole generation of youth that has seen nothing but violence and tension since birth. There is an increased effort of operators from outside the state and the country to radicalise the community in the Valley. This is what Kashmiris themselves have to guard against. Self-proclaimed 'jihadists' from Pakistan and beyond, as well as certain pockets in India, are trying to impose on Kashmir an agenda that is not its own. As for ensuring the youth find productive engagement, it is the government's job to give them self-realisation opportunities, which will go much farther than the sops the state has got addicted to. Peace, after all, is what everyone longs for. IT was in the mid-seventies, after becoming a commissioned officer, I joined my battalion in Jammu and Kashmir. It was the post-1971 war period and both armies had some calming influence after an intense war. The leadership on both sides had a sobering effect too and it reflected in the conduct of the opposing armies. Though hostilities did occur occasionally, as there were some nasty incidents of shooting and killing but by and large peace did prevail, most of the time, on the LOC. Keeping vigil on the LOC can become monotonous. At places, opposing posts are so close to each other that sentries are at hearing distances. To break the monotony, sentries on the vigil duty, inside well-fortified vantage points, at times even conversed with each other. I happened to be posted at one such post. One bright day there was a flurry of activity on the Pakistani side. All of us were curious to observe that cleaning and painting of the post. Whoever we could observe was in neat uniform. The noise and the smoke from the cookhouse was more than usual. Our sentry, on vigil, could not control himself and enquired the fellow soldier on duty on the other side as to what was going on. 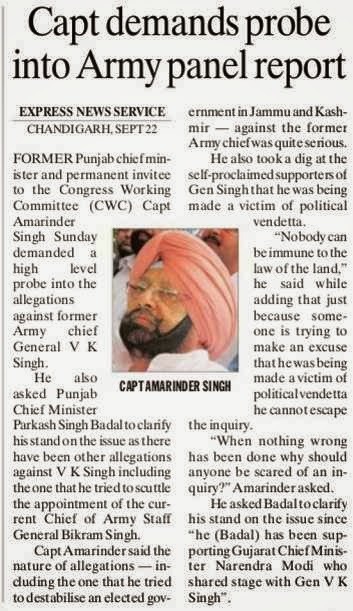 Pat came the reply that their company commander was coming to visit. In chaste Haryanvi our soldier replied that "our company commander keeps idling here (at the post) only". Everybody, confined to the restricted area of the post, heard it and this became a battalion joke. So much for the officer-men relations and attitude of the opposing armies! Many years down the line, in the mid-nineties, this time as an infantry battalion commander, I again got an opportunity to serve in the sector. This area is close to the one where our two soldiers were recently killed and brutalised. Those were the challenging times too with no ceasefire agreement in place, an assertive military dictatorship in Pakistan, no border-fencing, no multilayered defences well into hinterland and not-so-modern weapons and gadgetry. The media was also not so proactive in those areas then. Therefore news never filtered across of the intensity of the conflict. However, the environment was always professionally managed, without giving an inch. The Indian Army always knew how to deal and give it back, without escalating the situation, as the self-serving Pakistani army does not understand any other language. One fine day the brigade commander came on a visit and was at a forward post by mid-day. After the customary briefing and pep talk to soldiers, it was the interaction time. The dignitary was taken to the common area, away from direct observation and fire of the enemy, for a working lunch with the troops. After lunch he was presented neatly cut and folded old newspaper pages on a platter. Slightly taken aback, he wanted to know the purpose. “Infantry napkins, sir,” was the prompt reply of the young company commander. Amused and appreciative, the commander used one and thanked the rank and file for the good work in the area. It is well established internationally that the western frontier of India is the most dangerous frontier in the world. Soon the visitors left with a deep sense of gratitude towards men and officers guarding the LoC without any fuss or demand, under the shadow of lurking danger, where a slight mistake or error of judgement can so easily cost you life or limb. Indian Army soldiers do not complain normally but when they do, there would be something seriously amiss. You can only ignore at your peril. This will be Prime Minister Manmohan Singh's sixth bilateral summit with a US President. His first summit in 2005 with President Bush built on the momentum of the previous years to establish a new, bold and transformative agenda for the relationship. Prime Minister's visit in November 2009 as President Obama's first state visitor, and President Obama's own historic visit to India a year later, highlighted the bipartisan character of the relationship; its enduring merit based on shared values and interests; and, the commitment of the leaders to a sustained process of broadening and deepening the strategic partnership. Both leaders have spoken about the India-US relationship as a defining relationship and as one of the most important relationships of the 21st century. India-US relations have come a long way in the last decade. From a time when we dealt with each other formally, sometimes warily, we today have a full spectrum relationship, between our governments, our peoples and our institutions. I do not need to count the ways for this audience. For India, the relationship with the US has been the most transformed relationship in the past 10 years. What were once considered breakthroughs in the relationship, are now regarded as routine and normal. This is a sign of maturity in the relationship, even if it robs it of some of the excitement of some years ago. We also face the reality that we must now deal with new challenges in the years ahead. The relationship has all the attributes of a strong and comprehensive strategic partnership. We have regular high-level political dialogue. In recent months, we have had one high-level visit every month. India and the US have strategic consultations on every major issue and region. We have a growing dialogue and partnership on non-proliferation, export controls and nuclear issues. Our security cooperation includes multiple forms of engagement. Our defence relations are strong. We conduct defence exercises regularly. We are steadily moving to joint research, co-development and co-production of defence products through partnerships between our defence industries, as part of our strategy to develop India's defence industrial base and to increase the domestic share in our defence acquisitions. 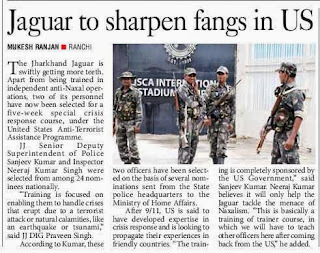 Cooperation between India and the US beyond the public gaze in the fight against crime and terrorism has also been effective. The Homeland Security Dialogue since 2011 has been of mutual benefit in protecting our two countries. We have also begun exploring the potential of cooperative engagement in cyber and space security. Our total trade in goods and services exceeds $100 billion. It has grown every year through the past five years of a global economic crisis. We might each have reasons not to be fully satisfied with our economic relations but no one denies its potential and significance. The US is our single largest trading partner and is a source of critical technology, investment, and collaborations, with over $11 billion worth of Indian investments in the US, and $50 billion of US investment in India. Some of our most innovative and rewarding partnerships are in the inter-linked domains of energy, health, higher education and science and technology. They often do not get the attention that they deserve, but are critical in their impact on the lives of our people. As for our peoples, there are about 600 major and 1,500 small and medium US companies in India, and over 100,000 Indian students in the US. When you see suburban developments around Delhi called 'Palm Springs' or 'Nassau County' you realise the extent of links at the popular level. Despite this range of relationships some today speak of drift in the relationship. I find this a rather strange way to describe a relationship where the two governments have thirty-two dialogue mechanisms meeting each year. One reason for this perception may be the fact that it is now a full spectrum relationship, no longer focused on one big transformational idea like the civil nuclear cooperation initiative in 2005-8. To me that breadth is the strength of the relationship. The impression of drift is also partly due to economic factors. It arises from the macro-economic situation. US friends mention concerns about economic reforms and specific policy issues in India. These concerns are not unique to the US. They are, first and foremost, of concern to Indians. Government is addressing all three sets of issues. Our IT industry, the locomotive of our economic partnership, which provides employment to 280,000 people in the US, also has genuine difficulties with certain discriminatory provisions of the Immigration Reform Bill. Looking ahead, the potential for growth in the relationship is strong. This is particularly so in energy, defence, education, and in the quality and range of the strategic dialogues that we undertake. Economically, as we go forward we will focus on opportunities, especially in the infrastructure sector; improve market access; negotiate a Bilateral Investment Treaty; pursue constructive solutions in the WTO that addresses our key concerns; and, work to strengthen the global multilateral trade regime, avoiding its fragmentation or the growth of protectionism. There is much useful bilateral work being done in clean energy and this will certainly grow. 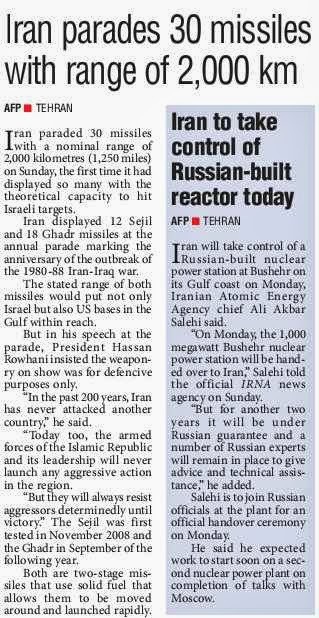 The civil nuclear agreement of 2008 is a symbol of our transformed relationship. It is a significant part of our strategy to meet long-term power demand in India, which is expected to grow four times over in the next two decades. The two governments have resolved government-to-government permissions and understandings necessary to enable commercial negotiations between NPCIL (Nuclear Power Corporation of India Limited) and Westinghouse, and for the AERB (Atomic Energy Regulatory Board) to begin its independent evaluation of the safety of the power plant. It has been our consistent stand that the power plant should meet the highest standards of safety delivering power at a price that is competitive vis-a-vis other sources of energy. I was surprised in the last few days to see several stories claiming that somehow Indian law would not apply to projects in India. Civil nuclear projects in India will naturally be subject to Indian law, including civil liability. Domestic and foreign vendors have sought clarifications on some points of that law, which are being examined. 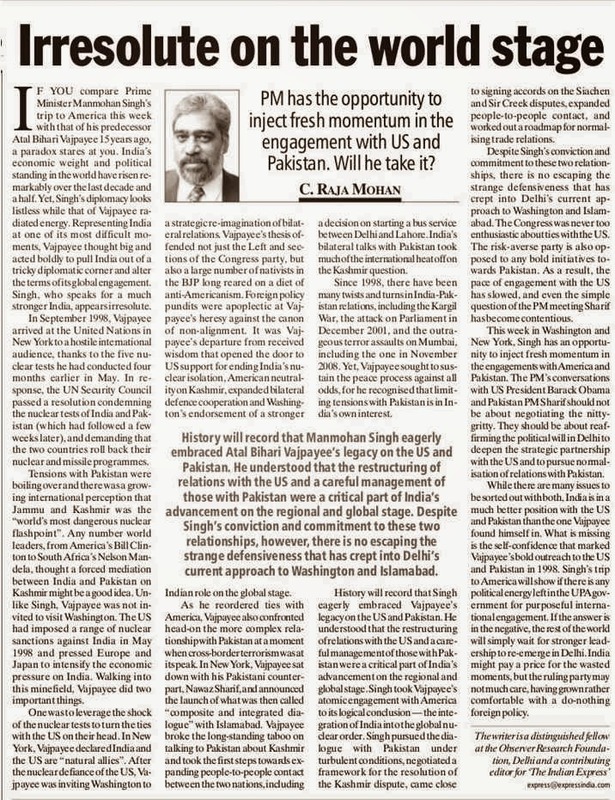 The India-US bilateral relationship is embedded in a larger vision of a global strategic partnership. This decade has been a period of transitions, turbulence and challenges in an interdependent world, on a scale that has few parallels in history. We have experienced a long drawn out global economic crisis and volatile financial markets. Across the arc from the Pacific to the Indian Ocean, through South Asia, Afghanistan, West Asia and to Africa, there are a range of immediate challenges and long-term structural changes. Our bilateral relations have stayed on a strong and steady course despite these rough seas, because of convergence on a broad range of issues that matter. We have shared interests in a stable, secure, peaceful and prosperous Asia-Pacific. The United States is an Asia-Pacific power and can play a constructive role in advancing regional stability, integration and cooperation. We are working together and with other countries in the region to establish an open, balanced, inclusive and rule-based regional economic and security architecture. As we build our respective regional partnerships, we deepen our own relationships with ASEAN. We have also launched a fruitful trilateral dialogue with Japan. Neither India or the United States see their relationship as directed against any other country. Nor does a strong India-US partnership run against the course of India's relations with other countries. India and the US have promoted their shared interest in maritime security through strategic dialogue, diplomatic efforts in regional forums and our regional partnerships. We each affirm the principles of freedom of navigation and unimpeded commerce, in accordance with international law, and peaceful settlement of maritime disputes. We consult closely on Afghanistan, and, though approaches may diverge sometimes, we have a shared vision for a stable, united, democratic and prosperous Afghanistan that is never again a source of terrorism, and that emerges as a hub of regional cooperation. Both have important interests in the stability and peace of West Asia. For India, proximity, religious and cultural links, economic interests, energy security and the livelihood of six million Indians in the Gulf area make this a vital interest. Our deepening strategic partnership does not mean that we won't have our differences. This is inevitable between countries in different circumstances, at different levels of development, and in dissimilar geopolitical situations. We are both democratic countries with a strong and vocal sense of independence, sometimes shading into exceptionalism. As democrats we know that autonomy of decision making and differences are not inconsistent with a strategic partnership. Where we have differences we also have the confidence and maturity to be able to speak to each other candidly and to deal with the issues. In sum, the strategic foundations of this relationship are enduring. In my view they will become more relevant in coming years. From our perspective, the US will continue to be a key partner for capital, technology, knowledge and skills in our development effort; a potentially important source of clean energy technology and hydrocarbons; an important partner in areas like defence technology, intelligence and counter-terrorism; an important factor in our space security and cyber security; a key interlocutor in adjustments to the global security and economic architecture; a partner in the quest for a rule-based, open international trading and economic order; and in our efforts to seek peace and stability in our extended neighborhood and globally. And that is why I am a confident optimist about the India-US relationship. In the first venture of its kind, the Border Security Force has established a helpline for its personnel where any individual can directly approach the apex headquarters with his perceived grievance without having to go through the hierarchical chain of command. The helpline is expected to mitigate stress levels in the force where troops have to undertake long and arduous border guarding duties in remote areas under difficult climatic and environmental conditions. It was set up recently as a pilot project at the Headquarters, Special Director General, West, which is responsible for the management of the International Border with Pakistan and BSF deployment along the Line of Control in Jammu and Kashmir. BSF sources said in the first four months of its establishment, the helpline received over 200 complaints, out of which about 90 have been redressed. While the act of making a bonafide complaint is not held against an individual, any false or mala fide complaint, of which there have been a few instances, is dealt with appropriately under BSF Rules. Most complaints pertain to issues concerning sanction of leave, pay anomalies, nature of duty and working conditions or transfer. The BSF is mulling to introduce this concept in other headquarters. One of the world’s largest border guarding forces in the world, the BSF has about 2.4 lakh personnel in 186 battalions. Prime Minister Manmohan Singh will reassure his Bangladeshi counterpart Sheikh Hasina about India’s commitment to implement the additional protocol to the Land Boundary Agreement (LBA) when the two leaders meet in New York on September 28 on the sidelines of the United Nations General Assembly (UNGA). While renewing his invitation to Sheikh Hasina to visit New Delhi at an early date, he will inform her on how the UPA government was keen to introduce in the Monsoon session of Parliament the Constitutional Amendment Bill to ratify the LBA, informed sources said. The meeting assumes importance against the backdrop of India’s failure to endorse the landmark accord signed during Manmohan Singh’s visit to Dhaka in September 2011. Sheikh Hasina, who was expected to visit India this month, has put her trip on hold. 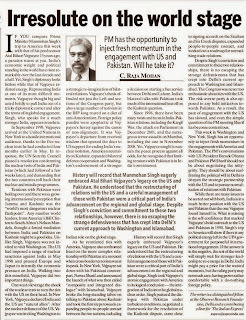 Dhaka is learnt to have conveyed to New Delhi that a Prime Ministerial visit at this stage would be fruitless because India has nothing to offer her though she has gone out of her way to address India’s major concerns, particularly on the security front, and created an opportunity to elevate the relationship. Apart from its failure to get the LBA ratified in Parliament, the UPA government has also not been able to ensure the signing of the Teesta water sharing accord due to vehement opposition from West Bengal Chief Minister Mamata Banerjee. Sources said the meeting between the two PMs in New York was aimed at mitigating the diplomatic fallout of New Delhi’s inability to get the LBA ratified. There is an apprehension in New Delhi that its failure to endorse the LBA could reignite anti-India sentiments ahead of the crucial elections in Bangladesh. Such a situation could also cause a backlash against the ‘friendly’ Sheikh Hasina government, much to the discomfort of New Delhi. Sources sought to dispel the impression that ratifying the LBA would imply India losing territory. The accord just legalises the de-facto situation which plainly means that Indian enclaves in Bangladesh are in Bangladesh’s possession while Bangladesh’s enclaves in India are in India’s possession. A four-week training programme in Mandarin language for Indian Army officers concluded here last week, the organisers of O.P. Jindal Global University said. Eighteen senior army officials took part in the programme focused on honing Mandarin language skills of the participants, the private university said in a statement. The augmenting of verbal communication skills in Mandarin by native Chinese instructors will be gainfully utilised by army officers at diplomatic fora, bilateral negotiations with the Chinese military, border meetings and the like, the statement added. Delivering the valedictory address, Lt.Gen (retd) S.P. Tanwar, former Director General Military Training, said, "Understanding China is of paramount importance for us in India. 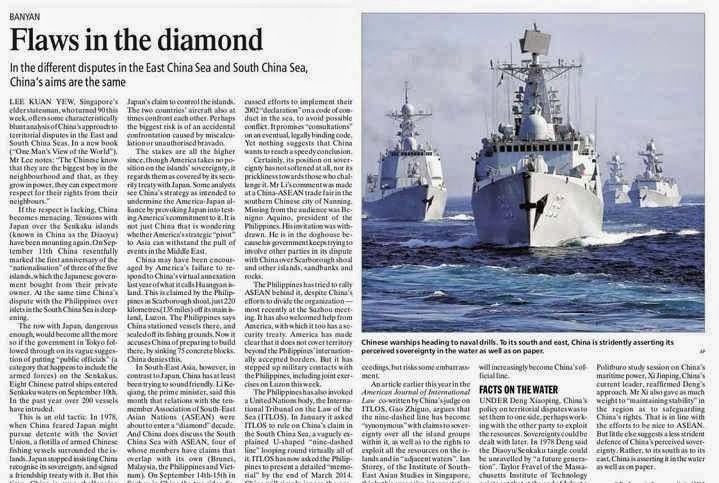 As military leaders, we need to keep honing our skills in Mandarin to be able to deal better with the Chinese counterparts." 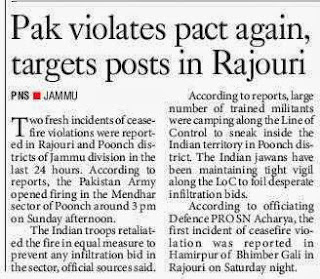 Jammu: There is no let-up in ceasefire violations by Pakistani Army which indulged in unprovoked firing on Indian forward posts along LoC in Poonch district today after targeting Rajouri sector overnight. 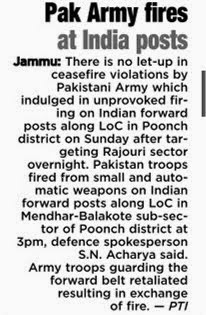 Pakistan troops fired from small and automatic weapons on Indian forward posts along LoC in Mendhar-Balakote sub-sector of Poonch district at 1500 hrs, Defence Spokesman S N Acharya said. Army troops guarding the forward belt retaliated resulting in exchange of fire, which was going on when reports last came in from the area, the spokesman said. There were no reports of loss of life or injury to anyone in the firing exchange, Acharya said. Indian troops responded with matching calibre weapons, resulting in exchanges, which ended around 0200 hours this morning, the spokesman said, adding there were no casualties. There have been at least 97 such incidents of ceasefire violations this year, the highest in the past five year. On September 17, two persons including a BSF jawan were injured when Pakistani army violated ceasefire and resorted to unprovoked and heavy firing and rocket attacks on seven Indian forward posts along LoC in Poonch district of Jammu and Kashmir. A civilian was injured in Pak firing in Dera Basi in Mendhar in Poonch sub-sector while a BSF jawan was injured at a forward post in Mendhar. On September 16, Pakistan troops violated ceasefire twice in Mandi and Garhi sector of Poonch. Six jawans were killed and 14 persons injured in ceasefire violations and firing by Pakistani troops on forward posts, civilian areas and patrol parties along the border in August. There were 93 violations of the 2003 ceasefire by Pakistan along the LoC in Jammu and Kashmir in 2012, 51 in 2011 and on 44 occasions in 2010, according to the Defence Ministry. NEW DELHI: Indian News Paper ‘Hindustan Times’ reveals that Indian army carried out secret missions on ‘selective countries’ including Pakistan. Lashkar-e-Taiba was also contacted for that purpose so as to create insurgency in enemy countries. Military intelligence unit of Indian army was involved in carrying out various secret missions within Pakistan. This across the border activity under the approval of Vice Army Chief and Director General Military VK Singh as revealed by Indian Newspaper ‘Hindustan Times’. When the newspaper authorities contacted army officials said that the unit Technical Services Division (TSD) has been shutdown and only few senior officials of army know about it. 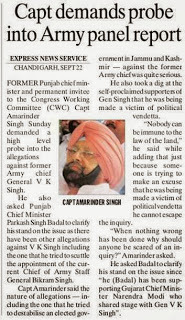 The spokesperson of army said that it is up to the defence minister to call for an inquiry for that matter. According the most secretive unit report, the secret missions have been carried out in those countries who are enlisted as enemies and work against Indian interests and who are destabilising peace in Indian Territory. The report also said that Pakistan’s Inter Services Intelligence must be defeated as it is against the state affairs. The newspaper previously revealed that this unit was created on the orders of Ministry of Defence after Mumbai bomb blasts incident. According to the report, former Indian Prime Minister Inder Kumar Gujral ordered for shutting down all secret missions in 1997. Bharatiya Janata Party (BJP)’s representative got worried over the revelation and asked why such a report has been made public at this point of time. 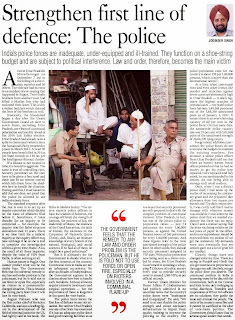 The newspaper also revealed that TSD was made for the purpose of advanced reporting of security threats to the Indian Military officials. It also carried out several operations such as operation Rehbar in Kashmir, operation Seven Sisters in East and Operation Deep Strike in areas of Pakistan. It is a strategic tie-up that has yielded a rich harvest, at least for the US. In the last decade, the Americans have made considerable forays into the Indian defence market, bagging deals worth Rs 45,000 crore and waiting to sign more contracts worth nearly Rs 30,000 crore in the next couple of years. 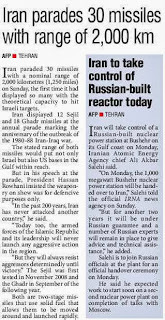 With bilateral narrative changing course after the 2005 civilian nuclear deal, and despite nuclear trade not witnessing an uptick, traction has been achieved by the two in the field of defence trade, armed forces interoperability and best military practices with intelligence sharing on an upswing. 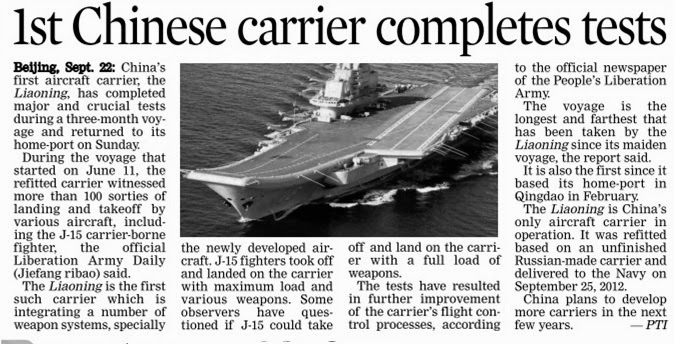 But the real story lies in the defence trade sector. 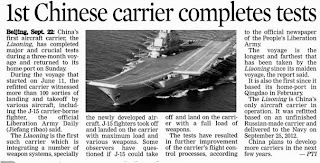 At least one defence deal among the half-a-dozen, worth nearly Rs 30,000 crore, is likely to be signed at the earliest. With the Defence Ministry giving its nod and the Cabinet Committee on Security (CCS) likely to give its approval this week, it is now possible that a Rs 4,000-crore government-to-government contract for six C-130J special operations planes may be inked when Prime Minister Manmohan Singh is in New York this month end, where he is scheduled to meet US President Barack Obama. Manmohan Singh will be in New York for the United Nations General Assembly, an annual fixture of the Indian PM this time of the year, when there is always a summit meeting with the US President. “The Defence Ministry is working towards getting this contract for additional six C-130J planes signed soon, preferably during the PM’s New York visit,” an Indian Defence Ministry official said, but did not categorically state that the deal would be done. 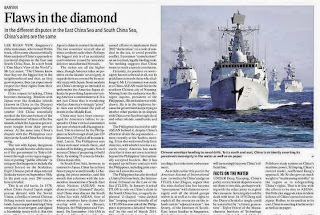 “Though all initial approvals have been obtained from the Defence Acquisition Council (DAC), the CCS is the next stop for the file on the plane purchases and then the finance ministry vetting. With just about a week left, let’s hope for the best,” the official added. Another deal for 145 M777 ultra light howitzers that US is ready to sell to India for Rs 3,500 crore through the foreign military sales route too has been pending for three years now, but there is no indication this would be signed anytime soon. But the good tidings in the bilateral defence relations between India and US were signalled by American Deputy Defence Secretary Ashton B Carter, who was in New Delhi for three days last week. Carter signalled that US and India were moving forward from a seller-buyer relations in the defence trade sector to becoming equal partners through co-development and co-production. After years of Indian complaints about how the US was placing hurdles in the form of their internal legal provisions on export of critical defence technologies, Washington has now come to see the benefit of its easing these bottlenecks and even go beyond and work together with India. He also commented that no one nation in the world could lay claim to the best of all defence technologies and there was scope for mutual benefits if they worked together and learnt from each other. In this regard, Carter referred to the Defence Trade Technology Initiative (DTI) that was agreed to between the two nations when former US Defence Secretary Leon Panetta had visited New Delhi a year ago, promising that the present US Defence Secretary Chuck Hagel, who took over in February, was committed to the DTI. One system that the US is now ready to offer to India is the next generation Javelin Anti-Tank Guided Missile (ATGM) for the Indian Army, on the lines of the Indo-Russian joint venture BrahMos supersonic cruise missile, an example Defence Minister A K Antony keeps referring to as a future partnership that the Indian defence sector should look for. Israeli Spike ATGM has been preferred by the Indian Army over Javelin, though a deal is yet to be formalised with Tel Aviv. US has slowly, but steadily, emerged as the third largest arms exporter to India, the world’s largest arms importer, in the last one decade. Only Russia and Israel are supplying more to India than the US—much more than the United Kingdom and France. Since 2007, when USS Trenton, a used amphibious warfare vessel, was bought by India for a throwaway price of Rs 250 crore, many Indian defence deals—almost 80 per cent—have gone the American way. With many more arms deals with American firms lined up, India’s largest defence supplier, Russia, who were the first to establish strategic ties and have remained committed friends, are fuming, to say the least. Russians, who still remain the largest defence supplier to the 13-lakh-strong Indian armed forces, have openly expressed their displeasure.